On 6 July 1946, the first Ferguson TE20, affectionately known as the ‘Little Grey Fergie’, rolled off the assembly line at its former Banner Lane manufacturing plant in Coventry in the UK. 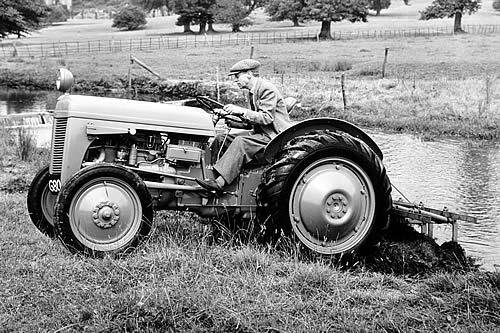 The tractor was the brainchild of engineer and inventor, Harry Ferguson, one of the founders of the present-day Massey Ferguson. Key to the global success of the tractor was its unique three-point linkage implement attachment system controlled by the tractor’s hydraulics. Designated the ‘Ferguson System,’ this effectively turned the tractor and implement into a single working unit, replacing the previous cumbersome trailed method of implement operation. Acclaimed as one of the most important engineering developments of the 20th century, the Ferguson System produced major advances in the efficiency of food production. In doing so, it achieved Harry Ferguson's lifelong ambition of helping farmers affordably mechanise all aspects of crop production to better and more economically feed the world. Rated at only 20 horsepower, the TE20 (Tractor England) was incredibly light and small, yet it easily outperformed much bigger units, and at much lower running costs. It provided the breakthrough on which agricultural mechanisation techniques came to be based throughout the world. 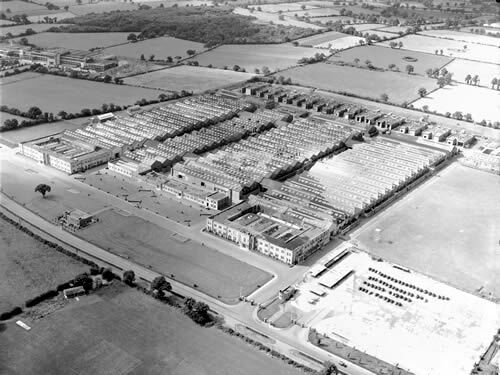 Over half a million of these diminutive tractors were built at the Banner Lane plant between 6 July 1946 and 13 July 1956. A large number of them are still at work on farms and they are prized collectors’ items. Massey Ferguson is a global farm machinery brand producing a wide range of tractors, harvesting equipment and agricultural implements. Its famous red-liveried equipment is distributed in 140 countries. The Ferguson TE20’s 70th anniversary inspired the current ‘Tractors – From Factory to Field’ exhibition at Coventry Transport Museum and the public display of the Daniel Massey Bronze Sculpture at the City’s Herbert Museum and Art Gallery. A key event will be ‘70 Tractors for 70 Years’ staged by Culture Coventry, a spectacular parade of Massey Ferguson and Ferguson tractors through the city to Millennium Place outside the Transport Museum on 30 July. Tractors for the parade are being brought together by the Friends of Ferguson Heritage Club and will include a wide range of vintage and veteran models as well as some of the very latest Massey Ferguson tractors under production.